The index opened positive but stayed in a narrow range, but short covering towards the end saw the index close strong at 8809.65, gain of 35.00 points. The broader market was positive with 892 advances to 688 declines. Range now at 8600-9000. 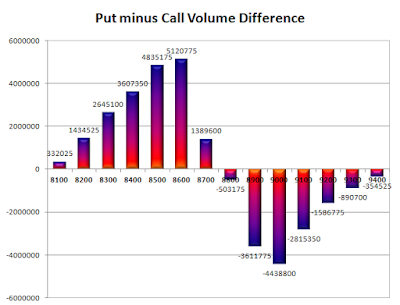 Call option 8800-9300 added 6.40 lacs OI with short covering at 8700 and below strike prices. Put option 8800-8600 added 14.37 lacs OI with profit booking at 8500 and below strike prices. 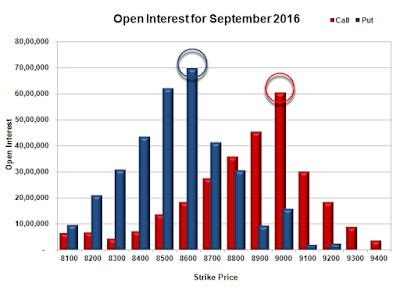 Nifty Open Interest is at 3,31,66,725 down by 4,58,400, with increase in price, probably short covering. 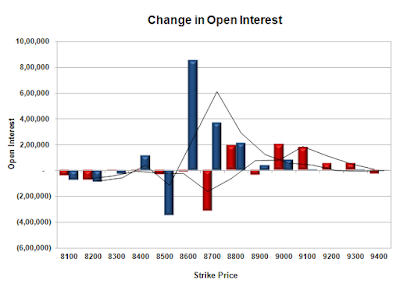 Bank Nifty Open Interest is at 29,03,080 down by 2,240, with increase in price, probably short covering. FII’s sold 6318 contracts of Index Futures, which includes net 4699 contracts long liquidation and 1619 contracts short build-up, with decrease in net OI by 3080 contracts, includes 20847 longs to 27165 shorts for the day. FII’s Index future open contract as on date is 396092 Longs to 42395 Shorts, Net long 353697 contracts. 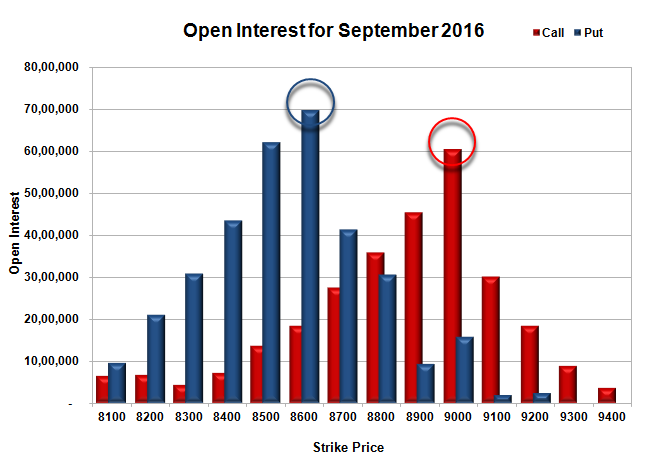 Initial support at 8700, with OI of 41.37 lacs and below that at 8600 with highest OI of 69.74 lacs. 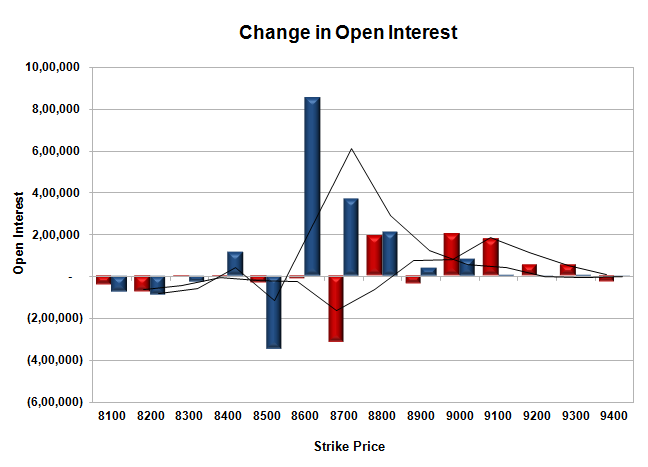 Initial resistance at 8900, with OI of 45.47 lacs and above that at 9000 with OI of 60.33 lacs. Day Range as per Option Table is 8743 - 8861 and as per VIX is 8750 - 8869 with 8801 as the Pivot.